Residential demolition is what we do. This means we’re spending a lot of time working on house demolition. In recent years Edmonton has densified rapidly. As our downtown core transitioned from a place to work – to a destination Edmonton’s landscape has changed as well. For the first time in a long time Edmontonian’s want to live downtown; or at least in neighborhoods close to downtown. This desire for centralized living has been complimented by a City of Edmonton initiative in 2014 to increase density in edmonton’s residential neighborhoods. If your house is located on a single family residential lot in Edmonton right now with 50 feet of frontage or more your property is now legally allowed to be split into two single family lots. These new zoning rules are applicable on every type of lot from RF1 – RF3, with even more density happening on 50 foot RF3 lots. Learn more about these new rules here. At Infill Demolition we realize Edmonton is in the beginning steps of a much larger densification process. Edmonton is a growing city with several old houses and industrial districts developed on the “outskirts of town” in the 50’s and 60’s, which are now ripe for demolition and redevelopment. 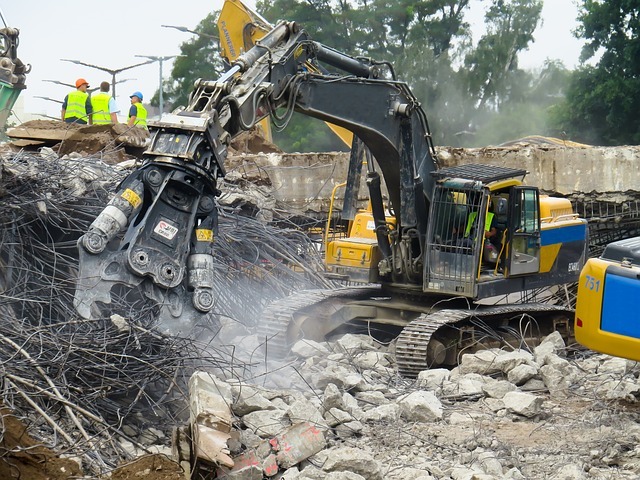 We realize that with the changing of Edmonton’s landscape developers need demolition companies prepared to handle the reality of tighter spaced, faster paced demolition projects. If you have a single-family home that needs to be demolished call us or use the template below to get a free quote. All we do is residential demolition. By choosing us for your house demolition you’re ensuring the highest level of quality service and professionalism. Once you’ve filled out the template we’ll give you a call and set up a time to meet on site. After we have an idea of your timelines and the projects scope we’ll provide you with an exact quote and timeline. Infill Demolition will handle the site preparation, demo, clean-up, dumpster coordination and recycling, which will all be included in our quoted price. We ensure to make your house demolition as pain free on both your wallet and your brain! Learn how we back that promise up.